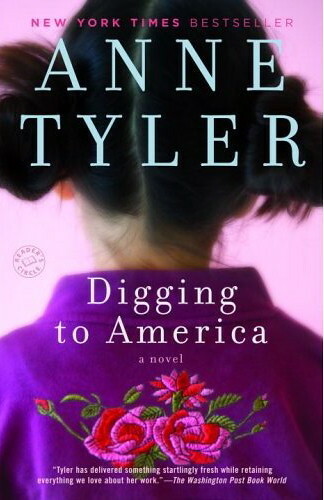 I say that like I’m expert, but truth be told, this is the first Anne Tyler book I’ve ever read … I mean, listened to. And if this is any indication of what her other books have to offer, this book will certainly not be my last. Digging to America tells of two American families who each adopt a female infant from Korea on the same evening. One family is white-bred American. The other is Iranian American. The novel follows the two families as this meet at the airport on the night of the arrivals and then as they become close friends as the girls grow into toddlers and then young children. The star of the novel (for me, anyway) is the widowed Iranian grandmother Maryam, who, like the young Korean girls must come to terms with what it means to be a foreigner in America. The book was beautifully narrated by Blair Brown, who gave each Iranian character a slightly different voice, so that you, the listener, could distinguish who was speaking before it was qualified with a “he said” or “she said.” Brown is a pro, capturing the voice of a dying cancer patient without sounding forced or schmarmy. A wonderful listen. Moving and heartfelt. You actually believe these people exist. I’ve since borrowed more Anne Tyler books from my mother-in-law. This is her 17th novel, and I’m looking forward to reading others.